The summer sun can have a major impact on your skin! Not only do the hot temperatures and humidity dry out your pores, but sweat can clog them, and constant sun exposure can cause freckles, pigmentation, melasma, or (worst case scenario) abnormal moles and skin cancer. Thankfully, there are a number treatments that target everything from dull complexions to wrinkles, dark spots, and everything in between give your skin the care it needs. Here are our top 5 dermatologist approved ideas for how to repair skin damage so you can look and feel your best come the fall. Intense Pulsed Light / FotoFacial is a non-surgical solution for skin discoloration, including brown spots (also known as age spots and sun spots) and/or the redness of rosacea, broken capillaries, and spider veins. This gentle technology evens out skin tone and helps you look younger and more refreshed. The Fraxel Restore Dual Laser is designed for patients who want to obtain long-lasting improvement in the overall appearance of their skin and who do not wish to have downtime. The Fraxel Restore Dual can be used to rejuvenate the skin of the face, neck, chest, hands, and arms. Depending on each patient’s unique needs, the laser treatments will improve fine lines, wrinkles, skin texture, abnormal brown pigment, brown spots, acne scars and other facial scars. 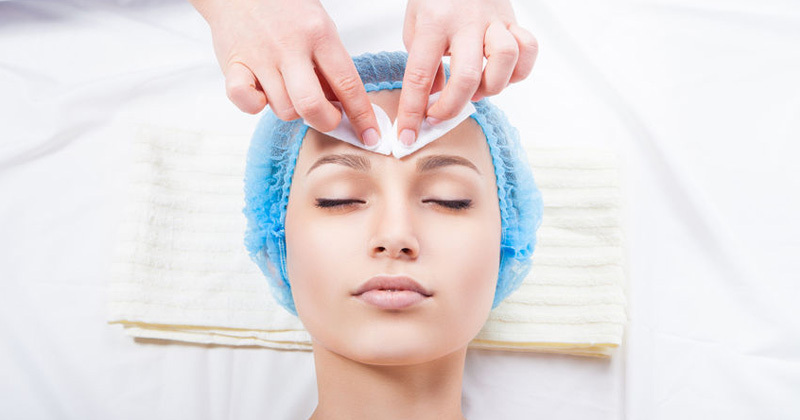 The Microdermabrasion facial smooths away fine lines and wrinkles and stimulates collagen and elastin production while the chemical peel is used to revitalize skin that appears dull and non-vibrant. The oxygen facial exfoliates, cleanses, and hydrates your skin. Fine lines will be plumped up with the incredible hydrating power of the oxygen along with the antioxidant vitamins A, E, and C resulting in healthy, glowing, and vibrant skin. With these 5 treatments, you can repair your skin after a long summer of sun exposure. But of course, prevention is most important. So let’s try to do better next summer! Ready too book your annual skin screening? Book your appointment online or give us a call at (310) 746-5720. Here are our top 5 dermatologist approved ideas for how to repair skin damage so you can look and feel your best come the fall.